You are currently browsing the archives for the Windows Live Messenger category. 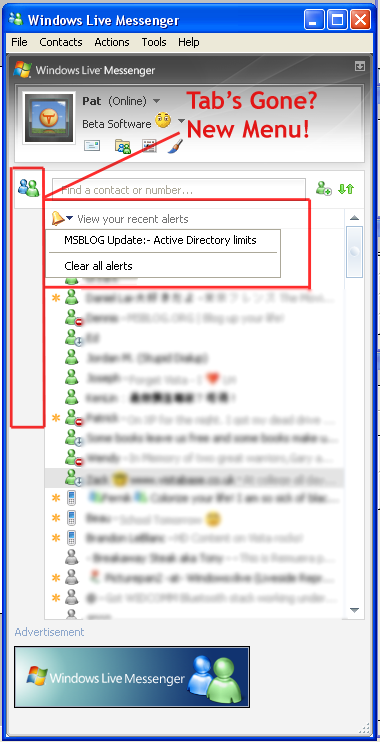 Download the final Windows Live Messenger 8.1 here! WLM 8.1 Testers…Where are my tabs? 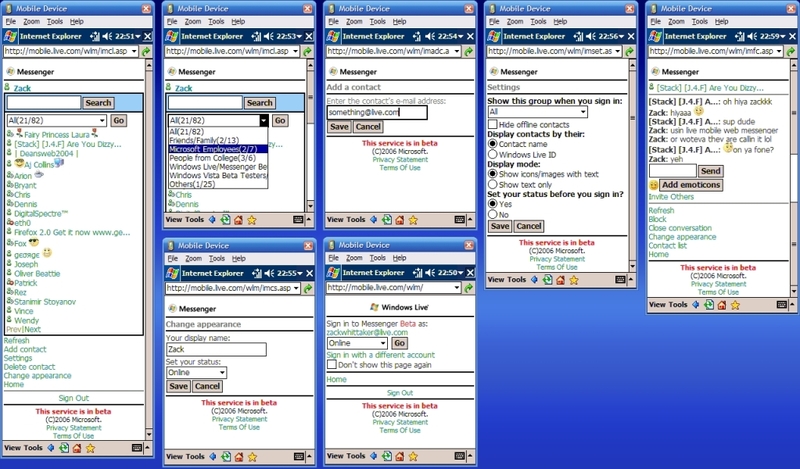 I signed into Windows Live Messenger 8.1 tonight and it seams that my beloved tabs have vanished from the face of my Messenger Client! A look at the version number shows the same as it was yesterday-so whatâ€™s the deal? My shiny alerts bell has disappeared, however it has been replaced to the top of my contact list once I receive a new alert. Now i can dismiss alerts as you would reminders on a Pocket PC to remove them from the list. A quick glance at the Tabs menu in the options also is empty so at the moment there doesnâ€™t seem to be a way to bring them back. Lets face it who dosen’t like a freebee…Especially if its something as cool as A Dynamic Display Picture, A new set of Emoticons, WinksÂ or a Dynamic Background for Windows Live Messenger. Volkan (on his blog) just announced that content (which looks exactly Like Blue Mountain Content) is now free. This information is from MSN Advertising which I got off the web earlier on today – it’s available to one and all, I’ve just condensed some of it into a much easier way to understand. Sorry for the big image – I would have thumbnailed it but I think this is big news. 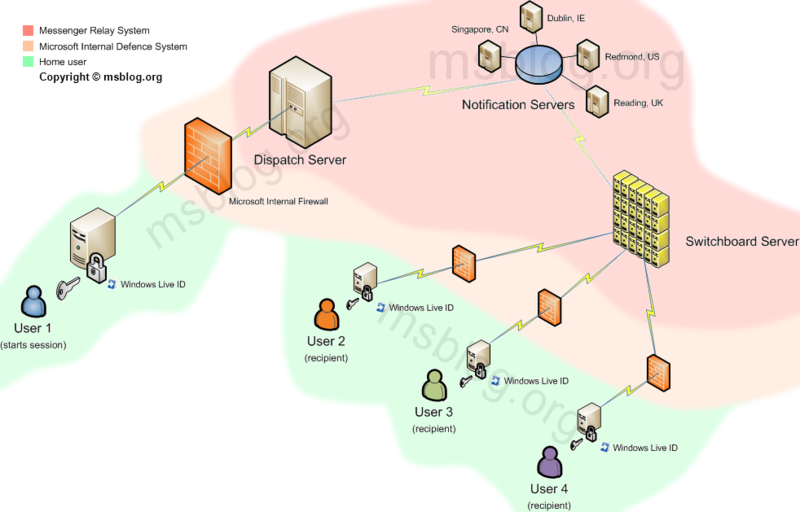 Basically, the Virtual Global Taskforce with help from SOCA (Serious and Organised Crime Agency in the UK, a bit like the FBI but not as crap) and Microsoft are coming together in harmony to create functionality to report abuse on Windows Live Messenger. This means that those cute little kiddlywinks out there who want to talk to their friends online, then a weirdo 50 year old bloke adds that kiddlywink and pretends to be a 12 year old girl, and the first kiddlywink gets a bit suspicious and feels a bit scared, they hit the button and report it. However to be fair, the VGT (Virtual Global Taskforce) which has a website (here) has a Report Abuse tool which must be reitterated, isÂ very similar as if you were calling 999, the Emergency Services. You can get into a whole load of trouble if you misuse the tool, because the reporting tool goes straight to the nearest policing authority. So use it if you need to, and don’t “prank call” them! 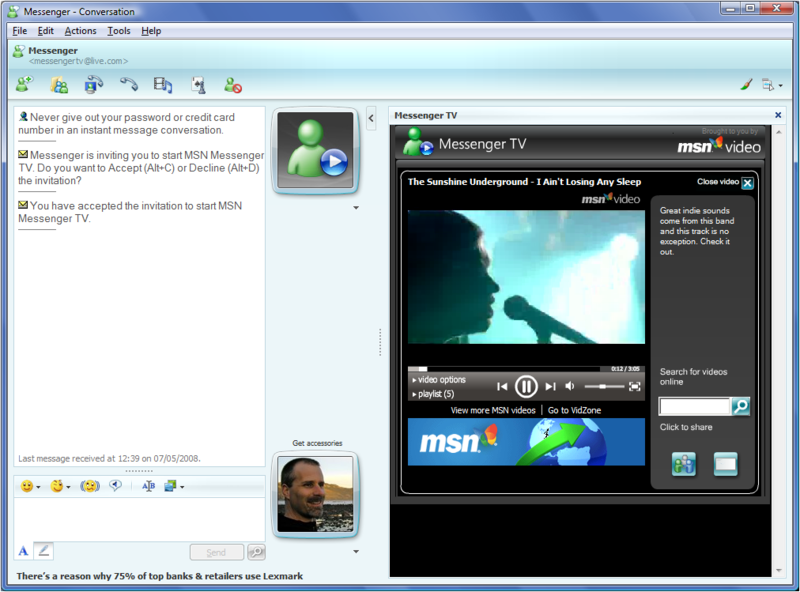 This will be rolled out into Windows Live Messenger at a later date, above as you can see is a concept design. Not sure how long this has been out for but i only learnt about it recently with the upcoming TechEd in Australia & New Zealand Etc. Microsoft are celebrating the occasion by giving away free TechEd megos for your Messenger account. So what does it mean…Hereâ€™s your chance to personalise your own Tech.Ed MeeGo character which you can use in different ways to enhance your messaging experience…your mego will move and respond to your emoticons.